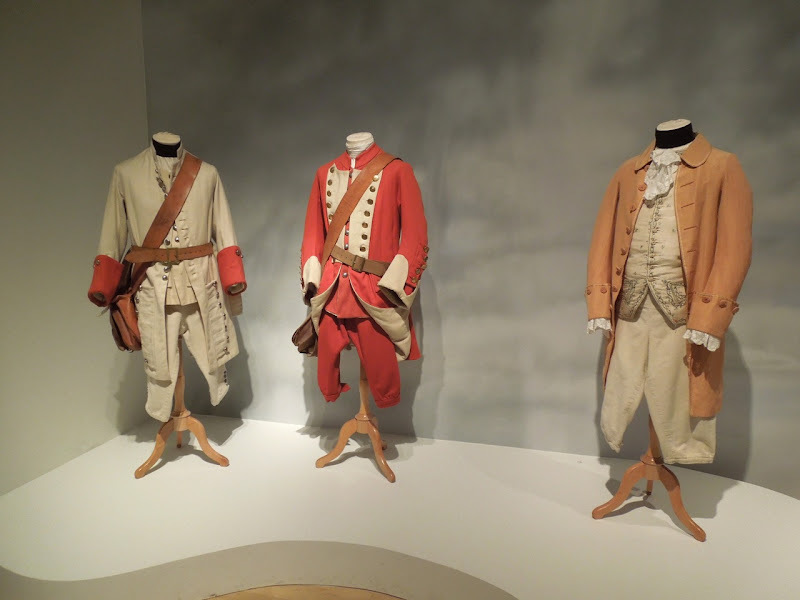 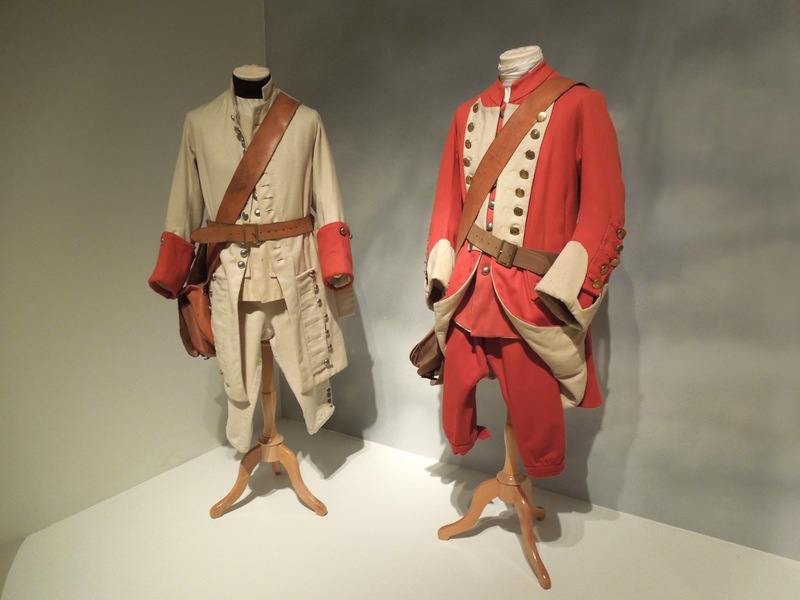 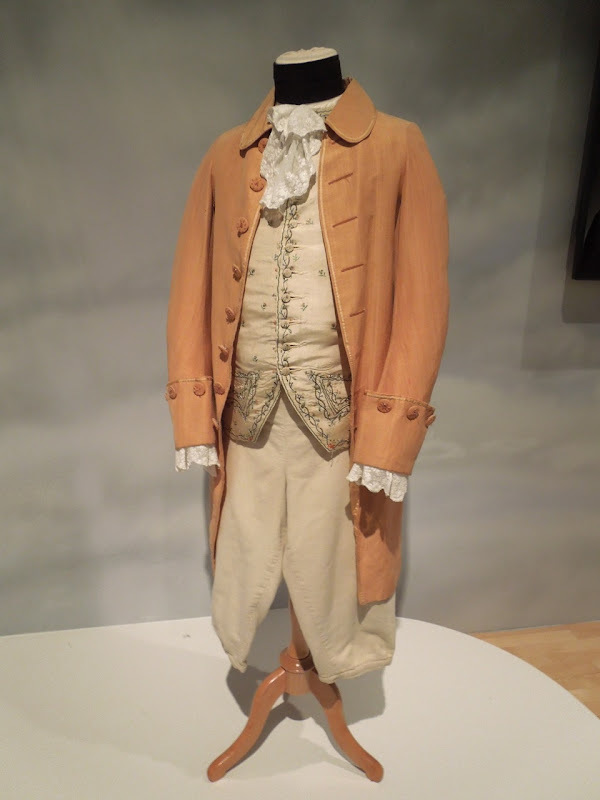 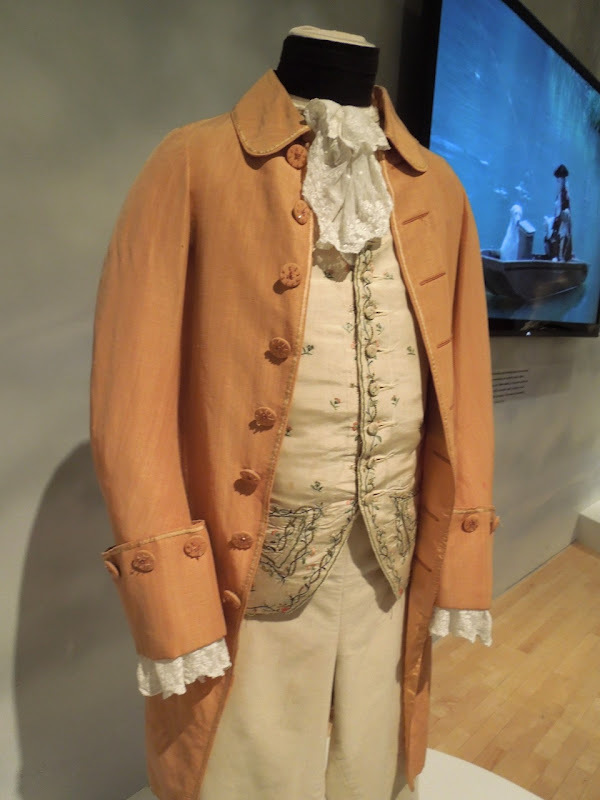 The Oscar-winning outfits from Stanley Kubrick's 1975 period drama, Barry Lyndon, proved extremely popular the other day, so here's another selection of costumes from the movie on display at the Los Angeles County Museum of Art (LACMA) on January 10, 2013. 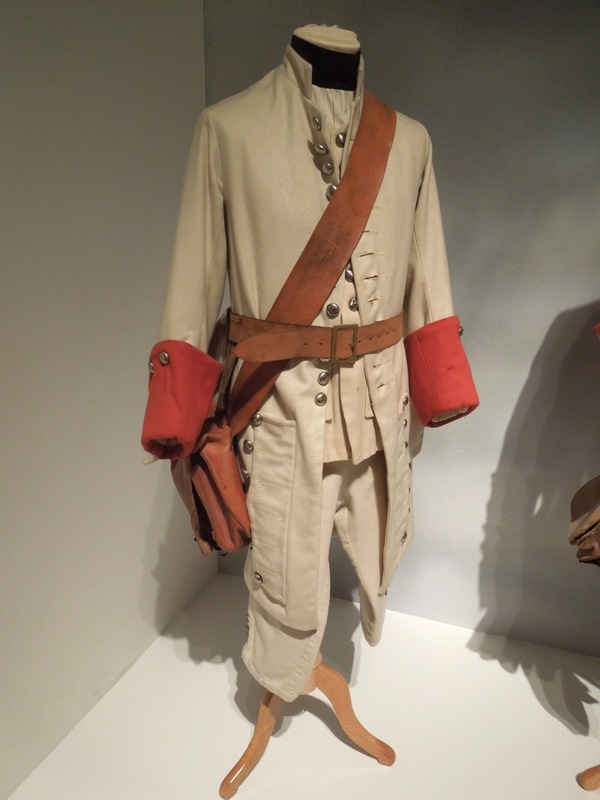 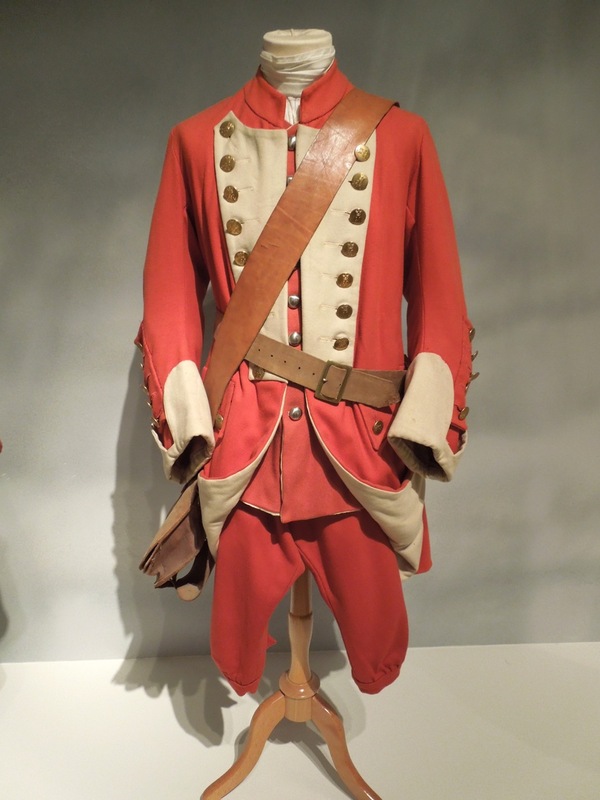 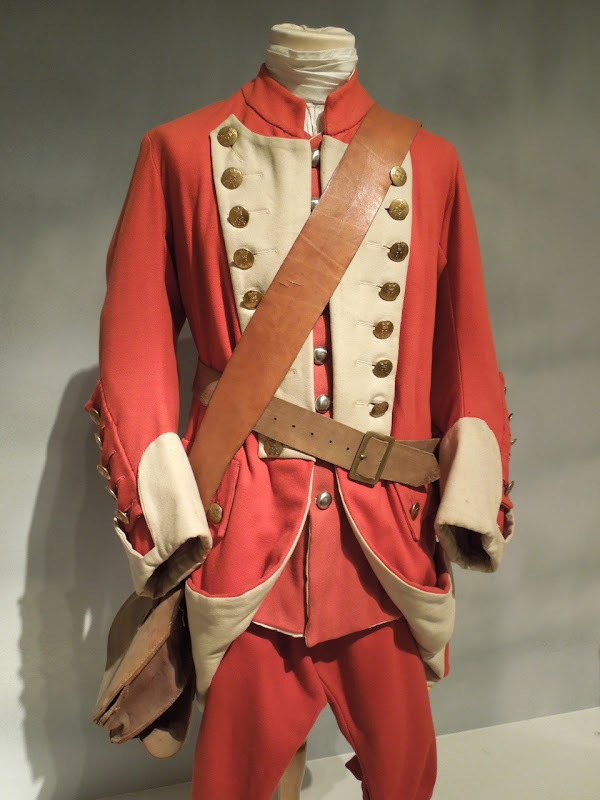 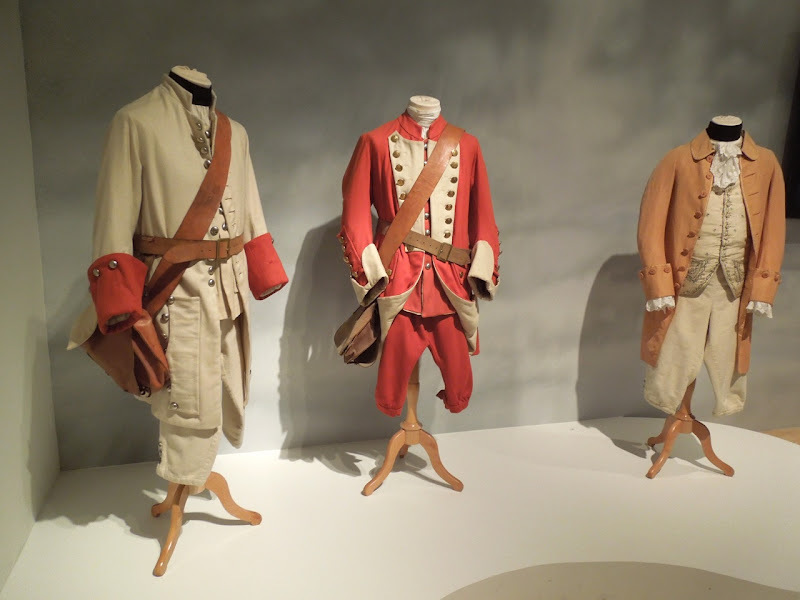 This assortment of 18th Century regimental soldier uniforms and an original costume worn by Ryan O'Neal as the titular 'Barry Lyndon' were designed by Milena Canonero and Ulla-Britt Soderland, who shared an Academy Award for Best Costume Design for the film. 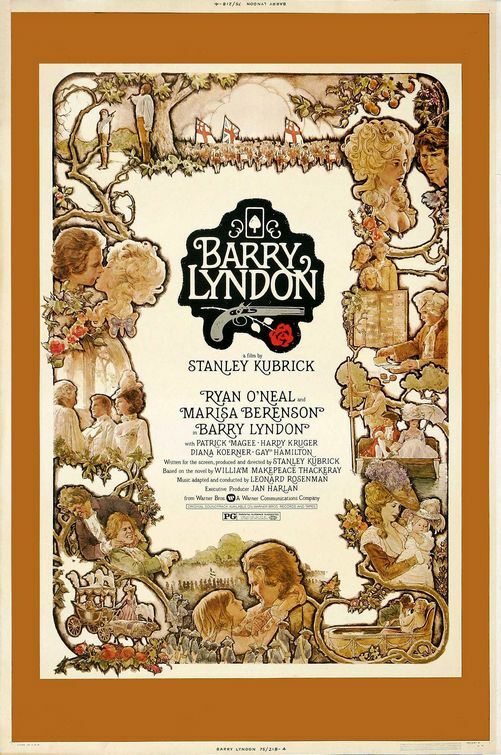 The film is inspired by the 1844 novel the 'Luck of Barry Lyndon' by William Makepeace Thackeray which follows the exploits of a fictional 18th century Irish adventurer. During his life 'Redmond Barry' joins the British army and fights against the French in the Seven Years' War. 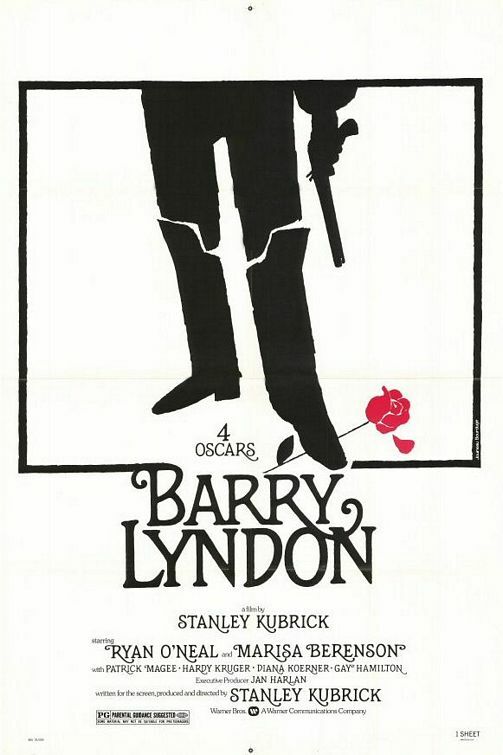 Deserting the army, he later seduces and marries the Countess of Lyndon, taking her name and becoming 'Redmond Barry Lyndon'. 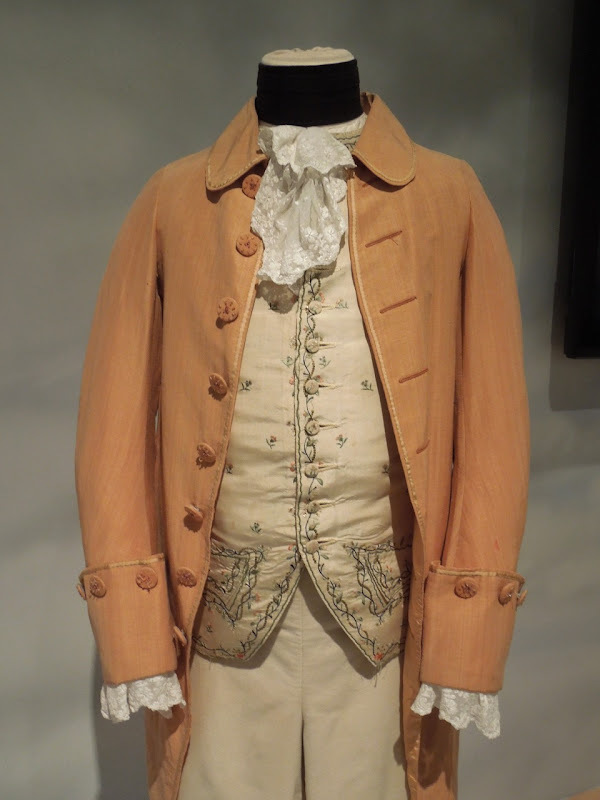 If you like these original costumes, be sure to also check out these Lady Lyndon and Barry Lyndon film costumes also on display at LACMA.